How do I level the bed on the Inventor IIS? 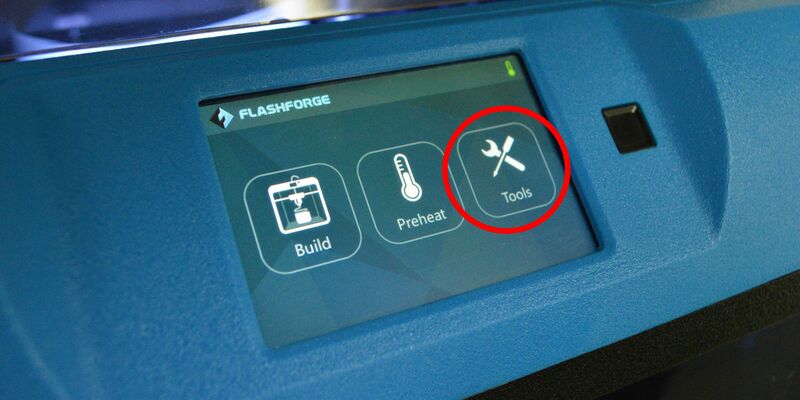 This article will walk you through the process of levelling the print bed on the Inventor IIS. Over time and through use of the Inventor IIS, the platform can skew itself out of being level. 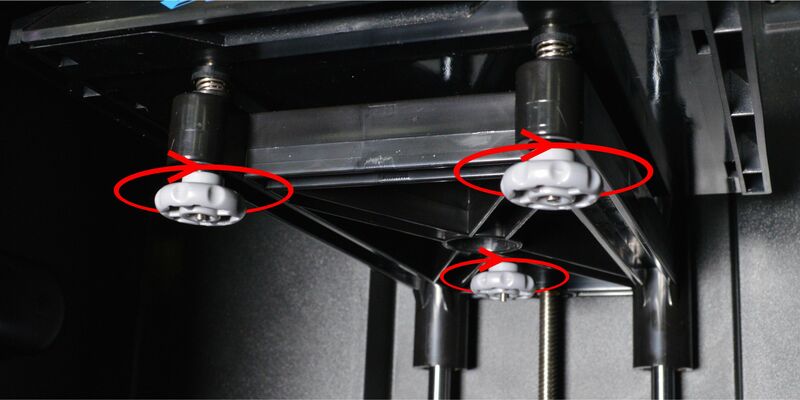 You may also have been directed here form calibrating your extruder, and so please follow these steps to complete the process. 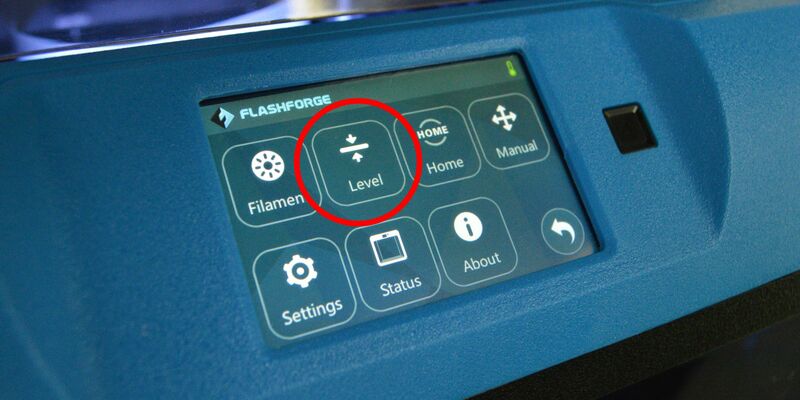 The first step in the levelling process is to navigate through 'Tools' > 'Level' on the LCD screen. Following the instructions on screen, tighten the three thumbscrews underneath the bed. NOTE: These should only be finger tight. You may need to actually loosen them a few turns each to get past step 3. Next, pay attention to where the extruder moves. It'll first move to the front left of the printer, and this will correspond to the thumbscrew directly under it. 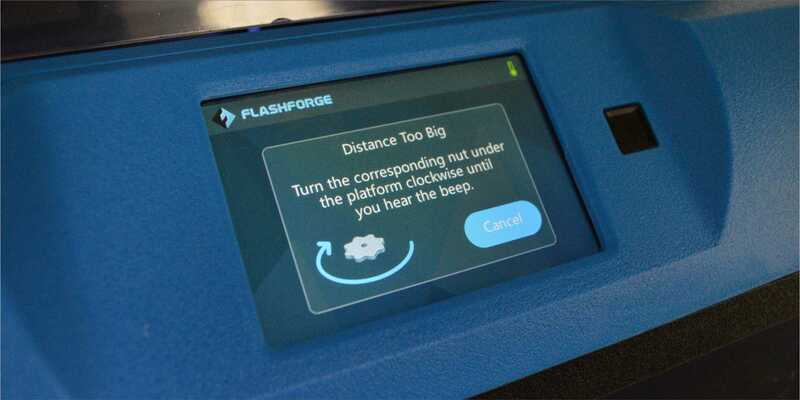 Simply follow the instructions on the LCD screen and loosen the thumbscrew until you hear a steady beep. 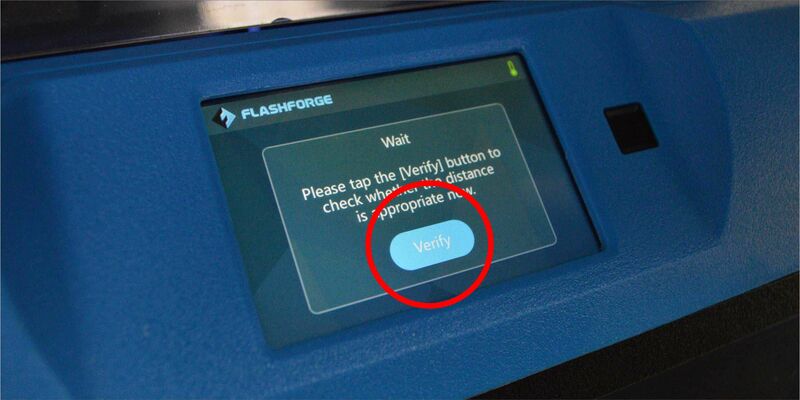 Then click on 'Verify' and the printer will double check if it's correct. NOTE: You will need to loosen the thumbscrew quite a way before you hear beeping. 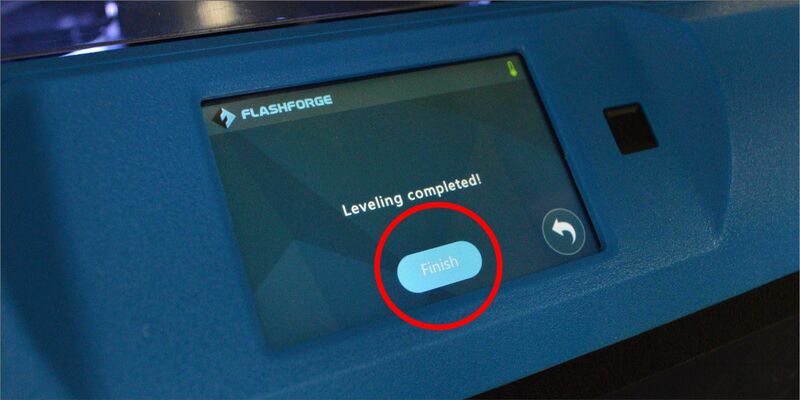 Once you see the 'Congrats' screen, click ok and the extruder will move to the next point. Repeat steps 3 and 4 until you've completed all three thumbscrews. You can then click on 'Finish' and you're done.